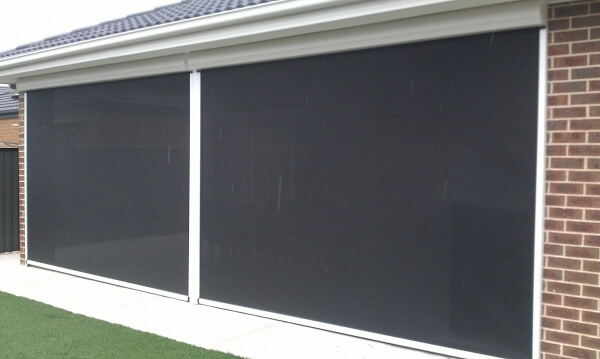 With several different varieties of alfresco outdoor blinds and operating methods, we're sure to find a solution to meet your weather protection requirements against Melbourne's weather. 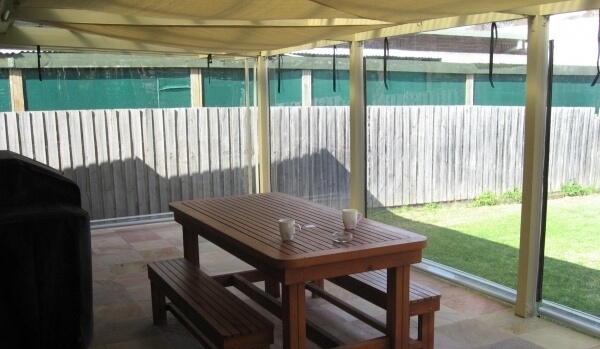 These cafe and alfresco blinds are very durable and easy to operate offering a strong shield from the elements. 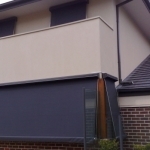 Outdoor alfresco blinds can also be made with different fabrics like clear & tinted PVC, canvas, Vistaweave and solid PVC. 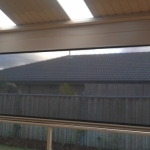 Thanks to our wide selection of outdoor blinds, Melbourne residents can look no further than Euro Blinds when searching for optimal weather protection. 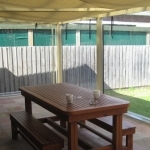 Cafe and Alfresco Blinds are outdoor blinds used to close off or protect an outdoor living area against the elements. 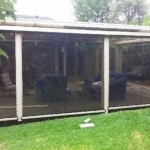 They are ideally suited for pergolas, verandahs and outdoor living areas in either the domestic, hospitality and commercial sectors. 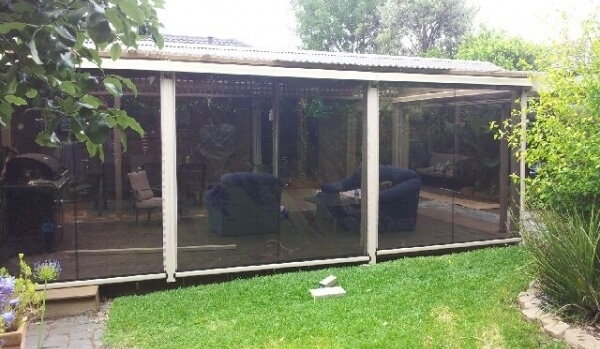 They type best suited to your application will depend on whether you want to protect against most of the weather coming in or to fully close off an area and make it like an outdoor room with full weather protection. How it is to be fixed and secured also determines which particular model can be used for that application. 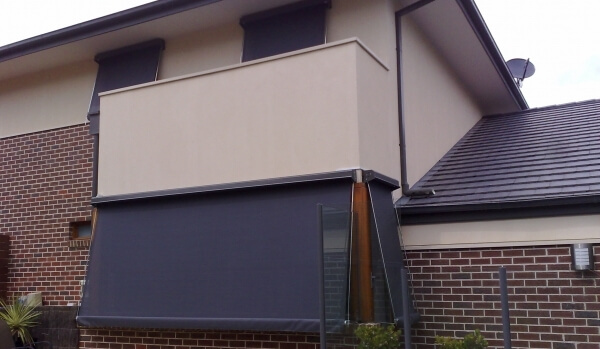 Made for Australian conditions our superior range of Alfresco blinds can be personalised to suit the tastes of Melbourne home and business owners. 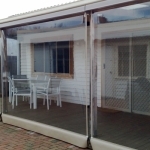 Outdoor alfresco blinds can come with plain, zipped or track versions and operated via rollup, spring, winder or be motorised. They can be made up to 4.5 metres wide with up to 3.3 metre drops from large choice of different materials. Depending on the model, there are also several securing methods like strap or clip down or locking systems. 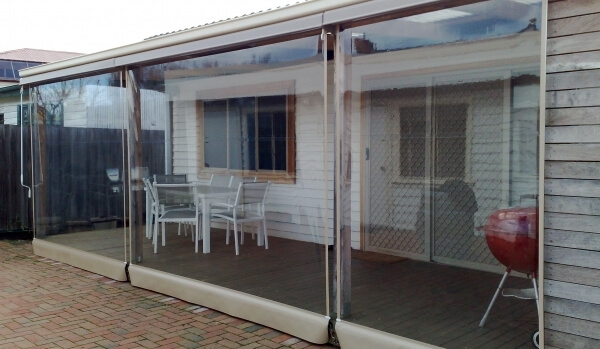 If they are motorised then the alfresco blind has steel bars placed in the bottom rail to help weigh it down and prevent the wind from lifting the fabric. Only quality materials are used in our cafe and alfresco blinds, like colourbond hoods, powder-coated aluminium components, galvanised and stainless-steel parts and fittings. We also use only quality fabric material like Japanese PVC, leading brand Australian canvas and the American made Vistaweave. 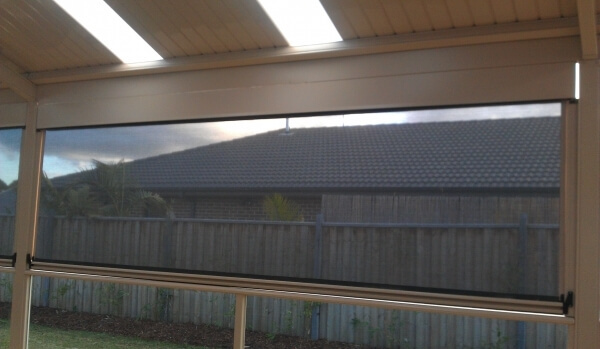 All our outdoor cafe blinds come with a 5-year warranty. Several different styles and operating method. Large choice of leading fabrics and colours, different colour hoods as well as fixing and locking systems. Most can also be motorised. 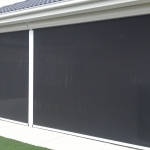 To discover more about the benefits of our external blinds Melbourne locals across the metro area are encouraged to call us directly on 1300 405 354.